J R Ewing, the Western, the Rio Grande, the cowboy, the Alamo, Davy Crockett, Tornado Alley, the oil industry, is this the way to Amarillo? But what do we know about Austin, Texas? A quick internet search calls it the 'Barbeque capital of the universe' and 'The Live Music Capital of the World.' Austin, you sound amazing already…. Since 2012 it has hosted the Formula One Grand Prix at Circuit of the Americas…..Sold! 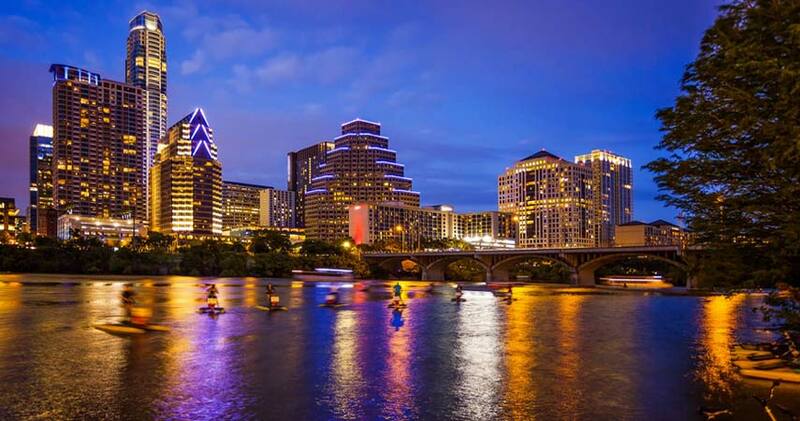 Romantically known in the late 19th century as the City of the Violet Crown, because of the colour of the light over the hills just after sunset; Austin is now the fastest growing large city in the USA. In 2016 it was named Number One on Forbes 'Cities of the Future' list. Bumper stickers shout the local motto 'Keep Austin Weird'. A movement to save the local independent businesses, by keeping large corporations at bay. South Congress is a shopping district that prides itself on 'Keeping Austin Weird'. Locals also sport 'Welcome to Austin, don't move here' T-shirts - but it is just playful, while they are fiercely proud of their city, they are very welcoming to visitors. If you want to learn more about the modern Austinite, Weird City: Sense of Place and Creative Resistance in Austin, Texas by Joshua Long (2010) needs to go on your reading list. But first you must visit! Note: Make sure that you tick breakfast tacos with BBQ brisket off your 'to do' list if you want the true taste of Austin. 1. Phoebe's Diner: 533 Oltorf Street. Located in the '04 neighbourhood, this 1950s and smoke-inspired Texas diner refers to itself as a 'greasy spoon'. Open from 7am until 3pm. Tuck in to the buttermilk pancakes, breakfast tacos or Phoebe's Benedict before noon; smoked pork ribs, brisket, beets or shrimp and grits for lunch. Snack on fried green tomatoes! Gluten-free options available on the menu. 2. TLC: this Texan comfort food/seafood restaurant is located in south Austin, at 1100 S Lamar Blvd and prides itself on fresh ingredients, eco-friendliness and value for money. Enjoy the gumbo, smoked pork, oysters, Texas pecan pie and 30 beers on tap from their delightful menu! 3. Franklin Barbeque: At 900 E. 11th Austin, "it is the best. It is the finest brisket I've ever had." This place is very popular - so booking is recommended. The menu isn't huge, but what they do provide is delicious and very satisfying. Lots of meat and pies for dessert. Avoid if vegetarian. 4. Eddies v's Prime Seafood: 9400 B Arboretum Blvd (also at 301 East 5th Street) this restaurant is a delight. If you want to treat yourself and your fellow diners: taste caviar (165 dollars), share The Big Eddie - Alaskan King Crab, Maine Lobsters, Ahi Tuna Poke, Shrimp (8) and Oysters (8), as you would expect this isn't cheap and will set you back 120 dollars. Perfect for seafood lovers, but they also do amazing steaks. MUSIC: There are more music venues in Austin, Texas per capita than any other city in America - yes more than Nashville, Memphis, Los Angeles and Las Vegas. More than New York City. That is quite a claim, considering the calibre of those locations and because of this, in 1991 Austin City Council declared itself The Live Music Capital of the World. 1. The White Horse: 500 Comal Street, Austin. THE place to experience Texan honky tonk! 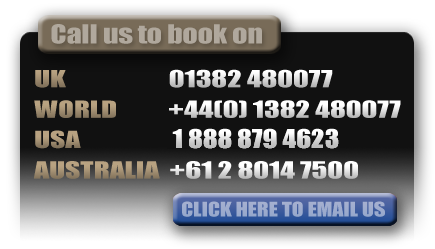 Show your best 'honky tonk' moves to country, roots rock, folk and Western swing bands. Weekday happy hour 3pm-8pm, free two-step lessons, a photo booth, whiskey on tap, bomb tacos and pool tables. 2. Carousel Lounge: Almost single-handedly helping to 'Keep Austin Weird' - you are unlikely to have seen Circus décor like this in a bar. Behind the bar there is a small carousel, on stage a pink elephant and a circus mural surrounds you. There are booth-side jukeboxes for when there is no one on stage. 3. Broken Spoke: James White's legendary dancehall has been welcoming musicians to the stage for 50 years - Dolly Parton, Willie Nelson and George Strait to name a few. You can't leave here without attempting to dance the two-step! Carnaval Brasileiro: their own version of the Rio carnival in February, Samba Party at the Palmer Event Centre. Rodeo Austin: 'Where Weird Meets Western' Exactly as described - expect music and cowboys! Austin City Limits: World famous music festival at Zilker Park. If you're planning a trip to the Formula One Grand Prix - arrive a week early to catch this! 5. Scoot Inn: 1308 E 4th Street, Austin. The Scoot Inn has been here since 1955, the venue has been here in East Austin since 1871! Open 4pm-2am - come here for eclectic indie bands, beer, cocktails and tunes! They even have yoga classes beforehand! When you over here for the Grand Prix with us we offer 3 hotels in Austin (W-Hotel, Embassy Suites and The Hyatt) and 1 in san Marcos (Holiday Inn) for your enjoyment, but below are a few other suggestions if you plan to come back and enjoy this fine city! 1. Archer Hotel Austin: A chic, welcoming and quirky boutique hotel in northwest Austin, near Domain Northside. A great location for eateries and shopping. Enjoy the pool patio and eat in the Second Bar and Kitchen Restaurant. If your dog is under 25 pounds you can take them along too! 2. Travaasa Austin: A must for lovers of nature/the outdoors - this luxury resort is worth the 20-minute drive from downtown Austin. Located in a forested area around 30 miles from Balcones Canyonlands National Wildlife Refuge, this is an incredible place to relax. Go horse-riding or to yoga class and then enjoy eating in the organic onsite restaurant. Canyon-view rooms start from 375 dollars (£228). 3. Adams House B&B: A beautiful decorated, colonial revival period home in the Hyde Park neighbourhood. 4. Firehouse Hostel & Lounge: in the heart of downtown Austin, this used to be a - as the name suggests - a fire station (the oldest standing example - built in 1885). A speakeasy can be found behind a 'bookcase door' in the lobby, where you can enjoy the prohibition-era cocktails and music! Euro rooms available with shared or private facilities. 5. The Driskell: go back in time to experience classic luxury. This has been a hotel since 1886. Luxurious themed suites.